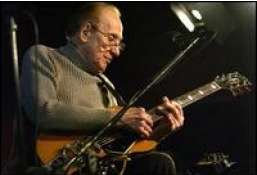 Earlier today, August 13, 2009, I received news that my friend Les Paul died at age 94. When I say my friend, I should clarify that unfortunately, I did not have the chance to meet Les in my lifetime. However, every time I went to the music store to play a Gibson electric guitar or watch many famous guitar greats who played a Gibson Les Paul Custom guitar, I knew that Les Paul signified quality and greatness. This man touched many people and through the solid body electric guitar, many performers were in touch with Les. Ironically, I just stopped at my local library yesterday to pick up a book called “The Early Years of the Les Paul Legacy”, written by Robb Lawrence. This is an excellent resource with a pictorial and written history of the man and a message from Les himself. I selected this book because of my interest in the history of musical instruments and the pioneers who contributed to the development of these instruments. 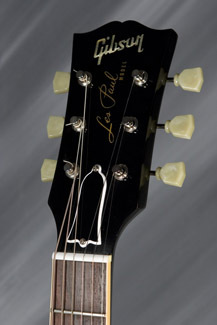 Les Paul not only played guitar (with his wife Mary Ford as his vocalist), but he is responsible for many of the innovations in the design of the solid body electric guitar and was a genius in the recording industry. There are some notable facts that Mr. Lawrence documents in his book about Les Paul. In late 1936, Les was one of the first guitarists to use a Spanish electric guitar in an orchestra on the radio. In 1940, Les began to utilize inexpensive Epiphone Zephyr model guitars, where he experimented with the pickup configurations. His experimentation led to incorporating a Rickenbacher vibrola (which was patented in 1929) and using them exclusively. Doc Kauffman, the inventor of the vibrola, would later team up with Leo Fender for the first steel guitars and amplifiers. Meanwhile, Les Paul continued tinkering with Epiphones to reinforce them with metal plate enhancements. You can also read about Les and his accomplishments in a book entitled “Gibson Guitar – 100 years of an American Icon”. 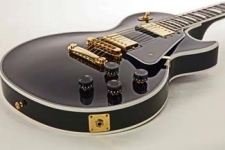 The author, Walter Carter, explains that in 1951, Les would partner with Gibson to introduce the Gibson Les Paul Model solid body electric guitar, which featured P-90 pickups and a cylindrical bridge tailpiece. Modifications were later made to include the stop tailpiece, tune-o-matic bridge, and coveted humbucking pickups. Decades later, as early as 1993, these guitars were recreated, and today are desirable reissues of the early original Gibson solid bodies. As early as 1941, Les Paul’s retrofitted 20 lb instrument with a Gibson neck, referred to as “the Log”, is considered the first solid body electric guitar. While there are various books on this great legend, one notable program worth watching is a program PBS aired on Less Paul entitled “Chasing Sound”. In this documentary, Les is noted as more than a musician or performer, he was recognized for his experimentation with sound and recordings. His multi-track recordings, which he completed in a garage at his home in California, revolutionized the recording industry. “Overdubbing” and “reverb” are terms associated with the late great Les Paul; a recording genius who experimented with the recording of sound, in a similar manner as he experimented with the guitar itself. I think its safe to say that almost every young guitar player has a dream to one day own and play a Les Paul guitar. Everyone from BB King, Keith Richards, Buddy Holly, Eric Clapton, Jeff Beck, Peter Townshend and more have not only played the Les Paul Custom guitar but credit Les Paul with his major contributions to making the recording industry what it is today. No .. I never met Les Paul, nor did I ever see him play live. Yet, as a fellow guitar player, I can’t help but consider Les a friend. May Les Paul Rest In Peace. This entry was posted in Guitar, History. Bookmark the permalink. Nice tribute to Les Paul. I was sad to hear that he had passed. I saw the PBS documentary not too long ago and was very impressed with his accomplishments, his versatility and the major infulence he had on both Jazz guitar and the evolution of the electric guitar sound and recording. He was amazing. I saw the news of his passing on Fox News, where they played a tribute to him. He played at a jazz club every Monday night in New York City until he got sick. I think it’s amazing he still played at 94, especially being on stage every Monday night? I’ll bet that place was packed. I bet there’s beautiful music being played in “musical Heaven” right now! Lee Ritenour played a Les Paul. Gibson’s Les Paul, based on Les Paul’s experiment, “The Log,” which was merely a fence post with a neck, hardware, and pickup attached was on the right track (by 1958 Gibson was making a few solid body models which had much lower feedback and better sustain) but, lacked the darker, warmer tone and unamplified volume of hollow bodies. Soon, the challanges were met and voila!!. I have seen the PBS Special presentation about Les Paul, it’s a really great documentary. Thanks for the article Fretmentor, I enjoyed it very much. Nice artical on Les Paul. I have read where his first pick-up was a phonogragh needle and that he taught Steve Miller to play guitar. He also invented the 8 track recorder/player. He will be missed. 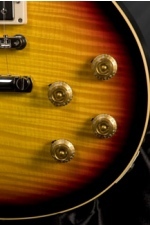 I own a les paul gold top and will think of him when ever i play it. Les Paul lived in Mahwah, New Jersey, the next town from where I lived, (Wyckoff, New Jersey). I was told he always had a guitar in the local barber shop, (Franks Barber Shop) (located 2 blocks from my place of business), and he would jam it up with Frank the barber who also played the guitar. Close by, but I never ran into Les, but heard much about him from the local residense.